Real Techniques Sculpting Set (available from eBay here) If you've read my blog for a while you'll know I'm a huge fan of the Real Techniques brushes. 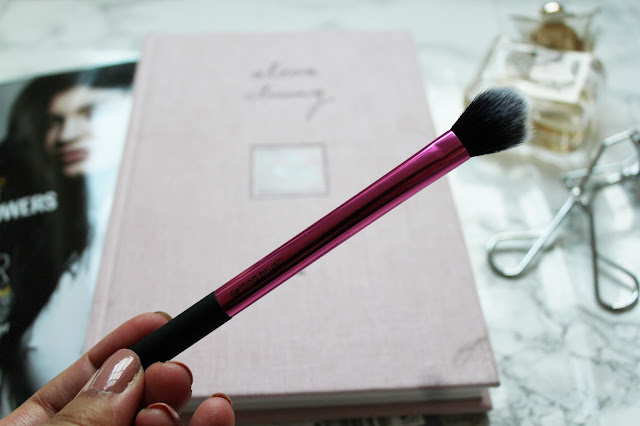 I discovered the brushes before I discovered Pixiwoo! Over the past couple of years since I've become more and more interested in beauty I seem to have built up a collection of Real Techniques brushes and they just keep bringing out new collections and they're getting better and better. I have the core collection set (read the review here), duo fibre brush set (read the review here) and I've done a post about my top 5 real techniques brushes here. Real Techniques Sculpting Set (available from eBay here) So you know it's time to add some more brushes to the collection and let me introduce you to the sculpting set. Not only is the contour/highlighting trend massive right now. 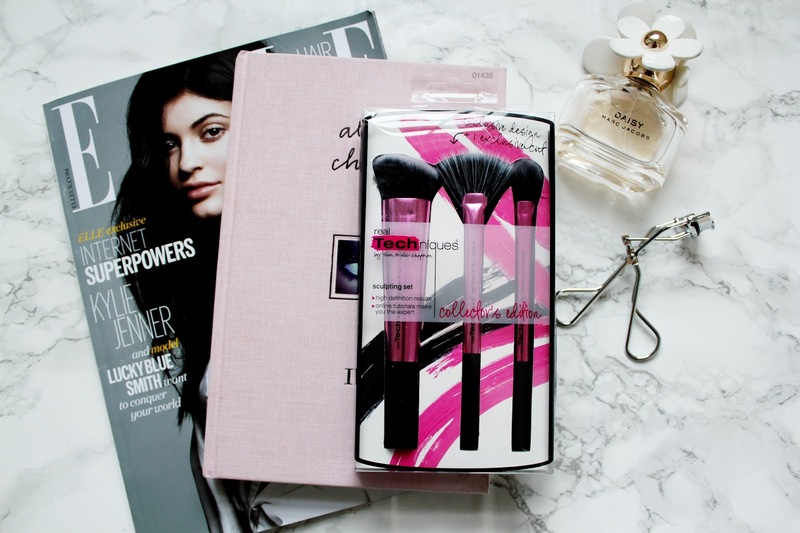 If you're looking for the perfect brushes to complete your contoured/highlighted make-up look, look no further. This set comes in at about £19.99 but I picked this set up on eBay for about £10 (similar seller here). I find eBay is a great place to pick up real techniques brushes and they're always listed by UK sellers at a good fraction of the high-street price. 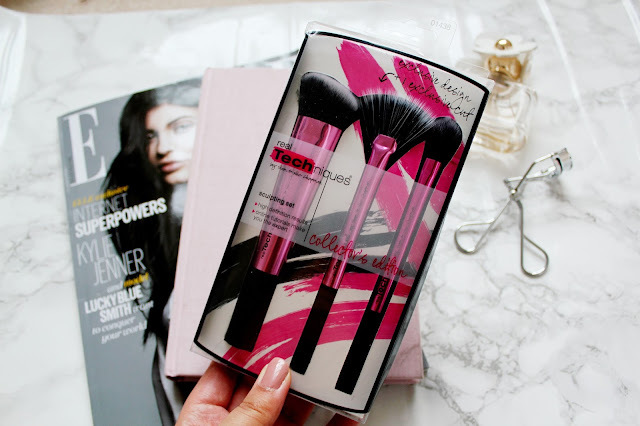 So eBay is a great place to look if you're looking to save some £'s on your make-up brush purchases! Real Techniques Sculpting Brush First up we have the sculpting brush, the main use of this brush is to help sculpt your cheeks and temples (perfect for contouring) or just adding a little bit more definition to your face. 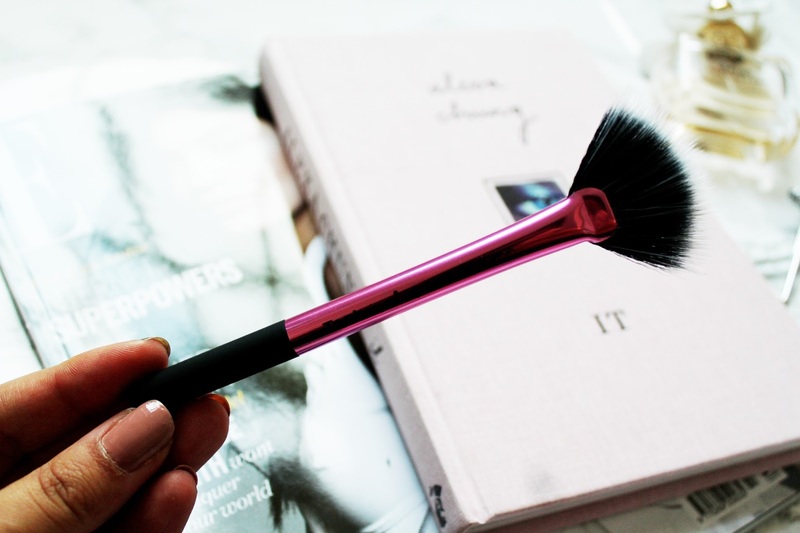 What I also like using this brush for is buffing in foundation. I really like that with Real Techniques brushes they're multi use so it's great that this can be used for foundation too. Real Techniques Fan Brush Next is the fan brush which is exclusive to this set. I think this brush is absolute genius. Have you ever had one of those moments where you make-up application is going really well and you ruin it with too much blusher or highlighter? well this brush is an absolute lifesaver! 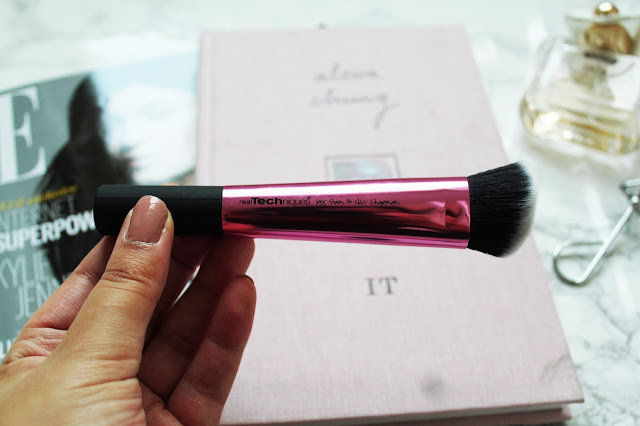 you can lightly dust highlighter or blusher or even powder with this brush and it's so easy and light to use. I have been a huge fan of Real Techniques brushes for years and always grab for them when doing my makeup. Love the pink metal look to the barrels! I'll need to pick up this set. Such great looking brushes. Very nice set ! Love it ! i must check out ebay for RT brushes, just thinking of all of the money i could be saving! I need this set! 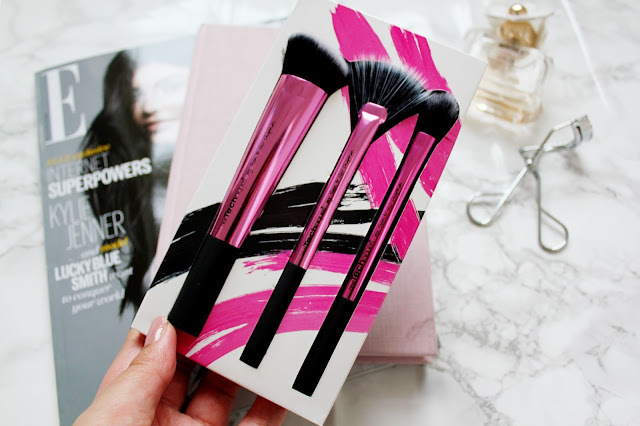 Obsessed with these brushes! I've just re-started my blog www.styling-myself.blogspot.com i'd love for you to take a look if you find time! I love Real Techniques brushes! Although I have the sculpting brush and setting brush separately, this looks like a great little set for those who don't have all of the brushes already. And I love the new metallic look too.